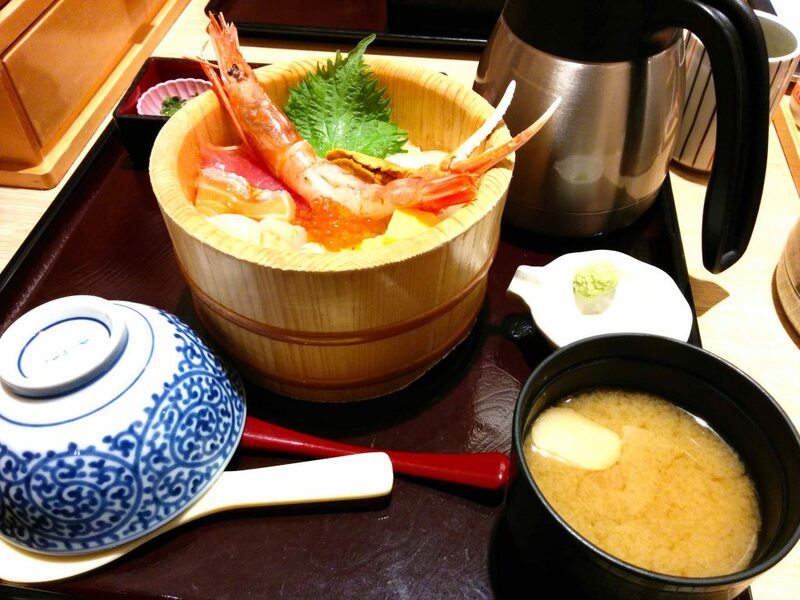 I had lunch at a restaurant chain, Shirokuji-Chu. First, I enjoyed the seafood and rice only, then with topping, and finally, poured the stock in the pot. It was fun.